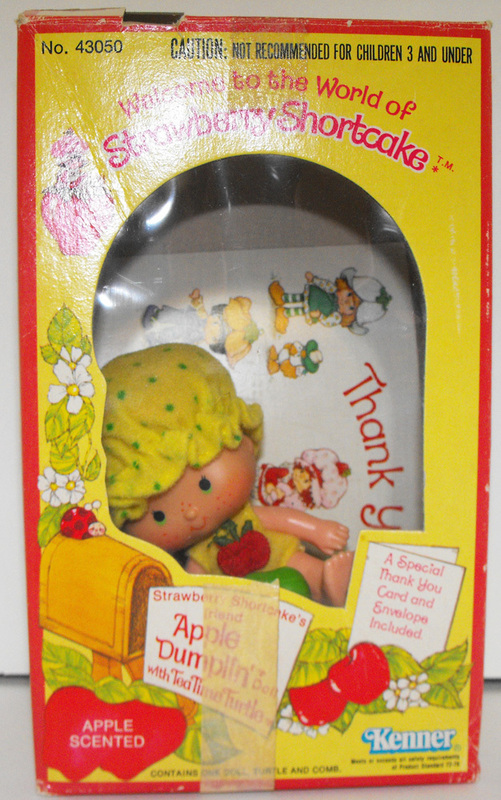 Apple Dumplin and Tea Time Turtle Vintage First Edition Doll. Excellent Condition, in Original, Opened Box. The backing inside the box is missing and doll is not attached to box, comes with Thank You Postcard and red comb. Missing one green/white bootie.